The Toyota Solara cargo interior net will be the right size and style for your Solara. With black hammock inspired netting this cargo interior net will look right in place in the back of your Toyota Solara. 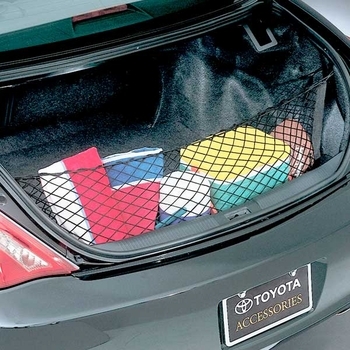 You can keep your groceries in one place with the addition of this Toyota Solara interior cargo net. This Toyota Solara cargo net spreads across the rear of the cargo area and attaches to provided hooks.